Kasson, Minn. (July 20, 1969) – Flagman Paul Tradup bent over backwards to help Dave Noble, but the Blooming Prairie, Minn., stock car pilot wasn’t able to take advantage of the situation before a record-breaking crowd at the Dodge County Fair Sunday evening. As it was, Paul Fitzpatrick of Rochester, Minn., capped an exceptional week of racing, winning his heat and the late model feature. 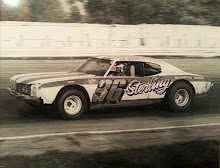 Noble, the leading money winner on the Minnesota Speedways, Inc., circuit, is presently engaged with LeRoy Scharkey, also of Rochester, in a fierce point battle for the grand championship. 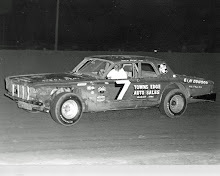 Noble was running second in the 20-lap feature when Don McAllister of Austin, Minn., spun on the backstretch on lap 16, blocking the track and forcing a restart. At that point, Noble’s pitmen were guilty of violating a long-standing MSI ruling, servicing the 1965 Chevelle on the track. On top of that, when McAllister’s 1964 Buick was cleared from the track, Tradup gave Noble an extra lap to regain his position. According to MSI standards, whenever a driver fails to take position when the track is cleared, he automatically fails to the rear of the field. However, Tradup – unwilling to irritate a rather large following of pro-Noble fans – signaled yet another trip for Noble around the half-mile as Gerhard Wollenberg of Austin, Minn., leading the pack at the time, prepared to bore into turn one. At any rate, Fitzpatrick – who would take the lead from Wollenberg on lap 19 – wasn’t unduly perturbed by the proceedings. 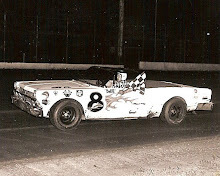 Wheeling a 1965 Chevelle convertible, the veteran driver collected $307 for the feature victory, upping hi week’s total to over $1,000 after successful appearances at Chateau Speedway in Lansing, Minn., and Tunis Speedway in Waterloo, Iowa. Ironically, Noble fell to third on lap 17 and eventually wound up ninth after failing to negotiate turn four on lap 18. Terry Hansen of Blooming Prairie, Minn., led the first six lap before Wollenberg, who finished second, took command. 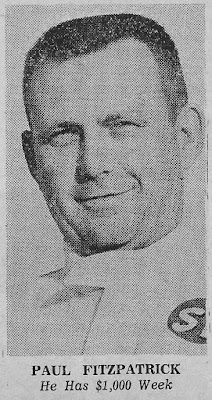 The attendance, 2,707, and purse, $1,900, were new highs for the Dodge County oval – shattering the former records of 2,076 and $1,400, which were set last year on June 21, 1968. Fitzpatrick’s check, which amounted to $358, was another MSI record. Mert Williams of Rochester, Minn., held the old mark of $343, set on June 8 of this year at the Olmstead County Fair in Rochester. 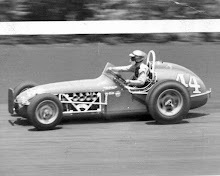 Almost going unnoticed was Rich Olson’s sweep in the hobby stock division The Rochester, Minn., driver, running extremely strong lately, won the 15-lap feature in his 1956 Pontiac. 2. Gerhard Wollenberg, Austin, Minn.
3. Terry Hansen, Blooming Prairie, Minn.
4. 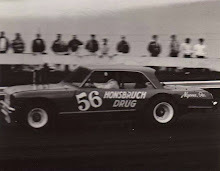 Bob Saterdalen, Oronoco, Minn.
5. Ron Thomas, Austin, Minn.
6. Dwight Trygstadm Byron, Minn.
7. Darrell Zweifel, Kasson, Minn.
8. Al Ward, Elba, Minn.
9. Dave Noble, Blooming Prairie, Minn.
10. 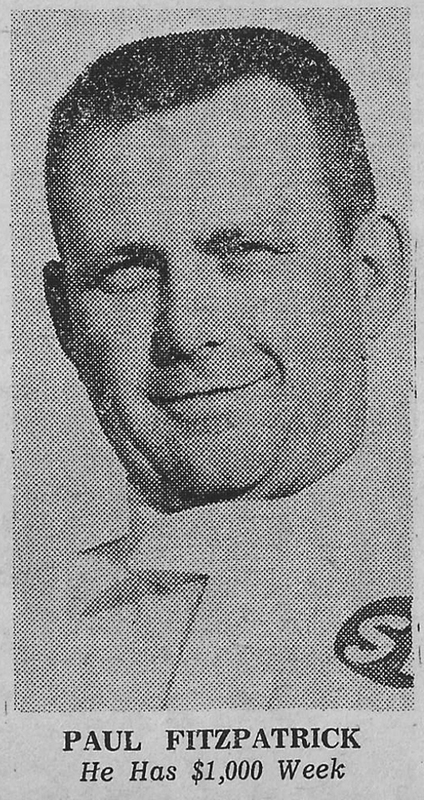 Larry Fleener, Rochester, Minn.